Andy Brown’s 45th Birthday, one of the edition was presented to each of those pictured. counter clockwise from lower left: Carl Johnson, David Altman, Andy Brown, me, David Lightner, Greg Barstow, Kelley Rudolph, Jon Beltram, Greg Oliver, Donnie Duncan, Eric Manuel. 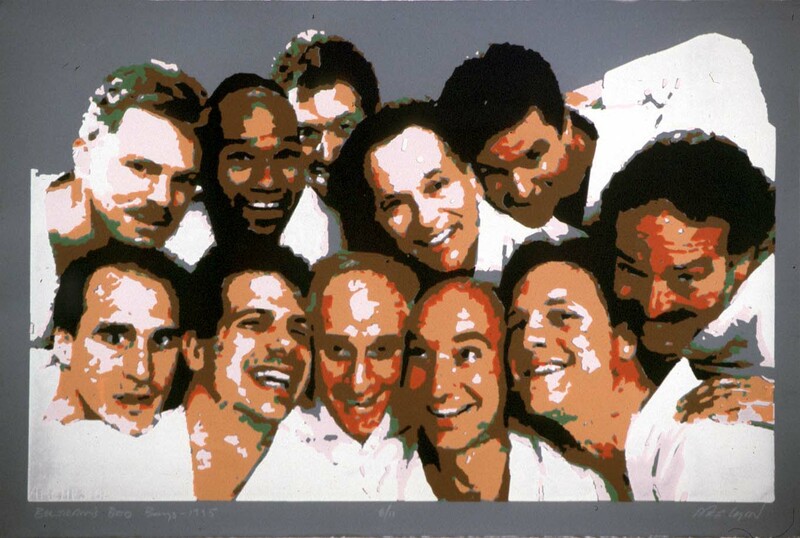 "Beltram's Bad Boys", 1995, silkscreen, about 22" x 30"